Disclosure: This is not a sponsored post. I was sent a digital copy of The Jungle Book and some treats. 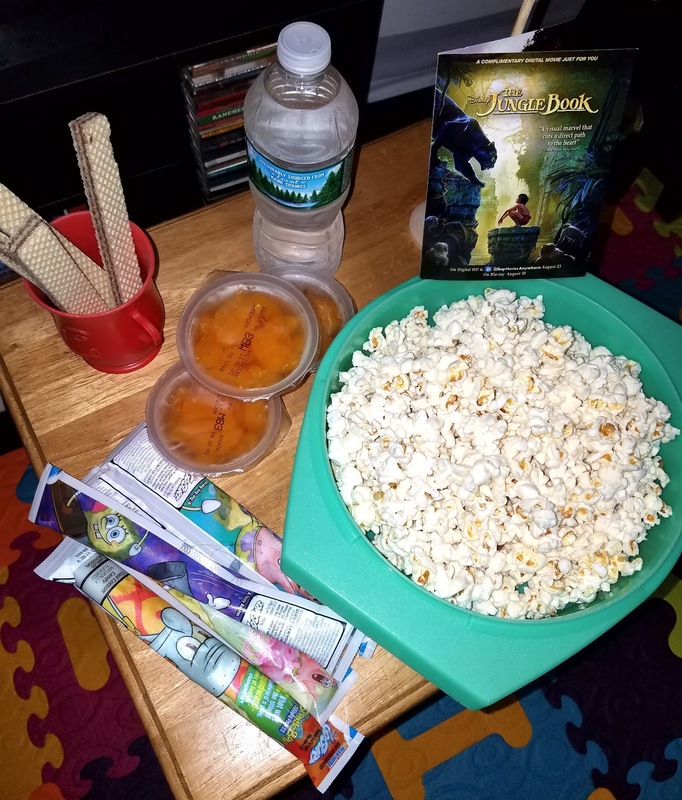 It was great to come back from vacation to our digital copy of The Jungle Book and some extra goodies for us to be able to have a very special movie night. 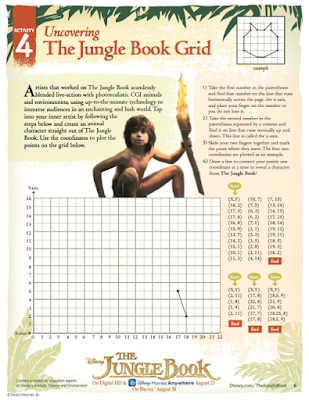 We had a chance to see The Jungle Book in the movie theater a few months ago and loved it. We were counting down the days until we could watch it from the comfort of our home, that way we can dance around freely. Movie nights happen at least twice a week, we love movies that much. 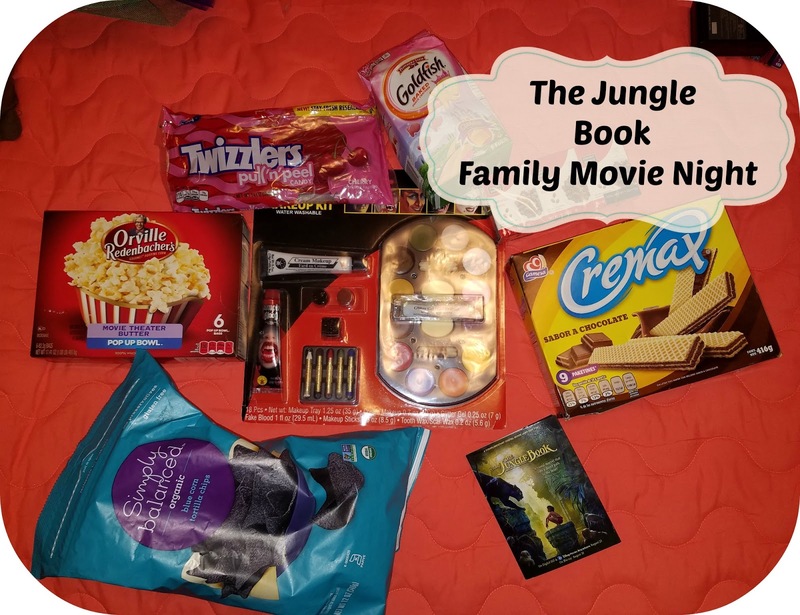 In our package there was also a gift card so we could buy some yummy treats to enjoy during our family movie night. My kids love mandarins and yogurt, so I made sure to have some of their favorite snacks, we also had some bananas not shown here in honor of some of our favorite characters from The Jungle Book. 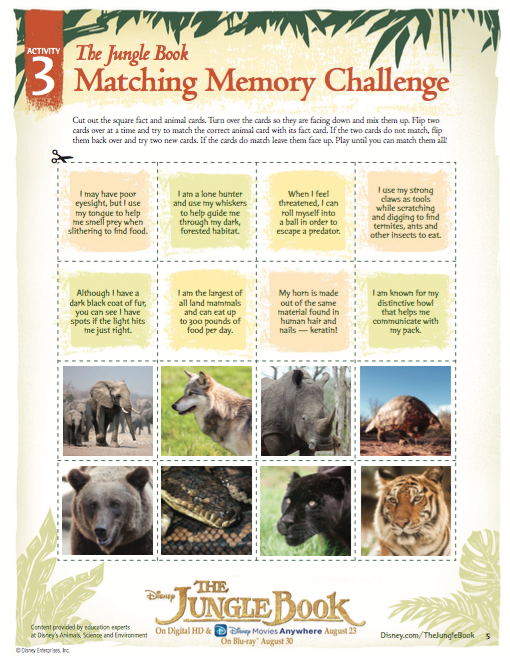 It's always fun to plan as a family. Miguel and Valentina loved going shopping with me and being able to pick some of their favorite snacks for our family movie night. Our movie night goodies also included a kit so that we could transform into our favorite characters from The Jungle Book. That didn't go the way I imagined it would, I was really excited to transform Valentina into a little tiger of some sort (with my makeup skills, she would have ended up looking like a kitty cat) But today out of all the days she decided to be afraid of face painting, therefore neither Miguel or I could really transform into our favorite characters from The Jungle Book. 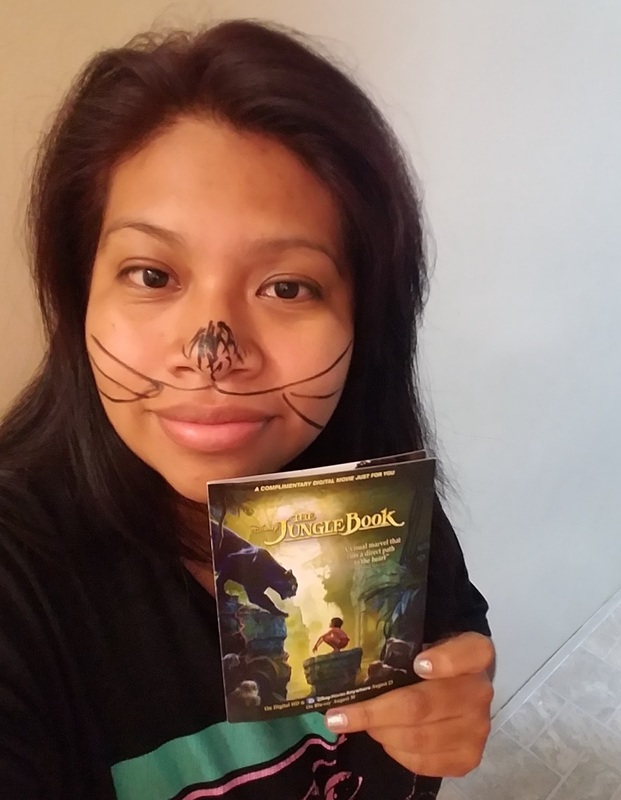 My favorite character is Baloo but I thought it would be fun to transform into Bagheera, I could have done way better but with Valentina freaking out in a little corner when she saw we were going to transform into "animals" this is really the friendliest I could look for her to not freak out. 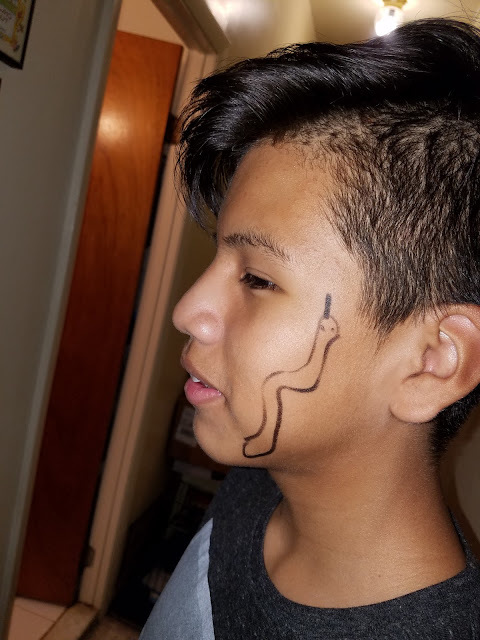 Miguels favorite character is Kaa, and that on his cheek is my best snake drawing - haha, I told you my drawing skills are not the best. But it was friendly enough for Valentina to be ok with it and not freak out by Miguel transforming into a snake. 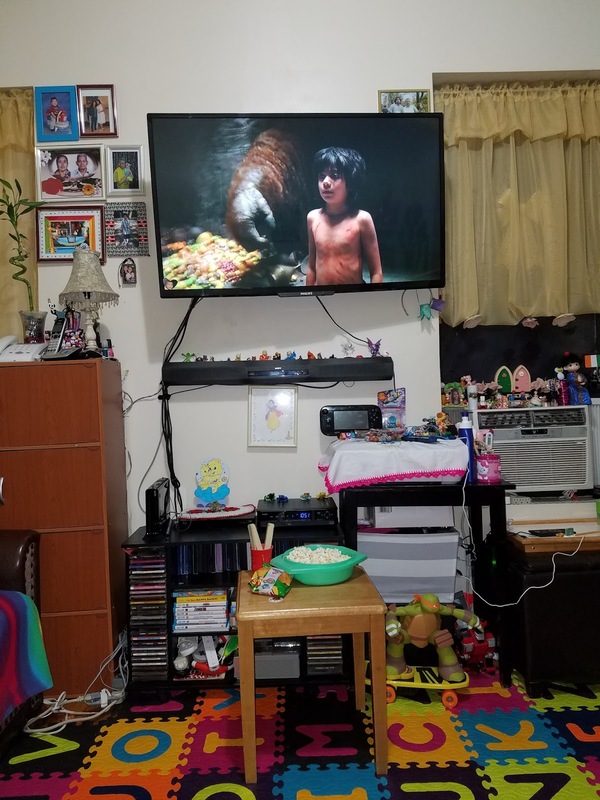 This part of our movie night was a failure, but it definitely didn't take away from the excitement of watching The Jungle Book again. 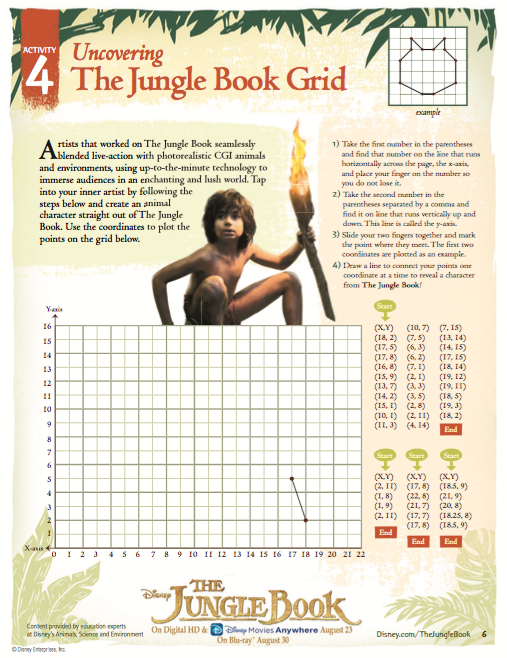 Insert squel as we watched Mowgli from the comfort of our home. I can't explain how amazing this movie is, the graphics are truly stunning and not to mention that the boy that plays Mowgli in this version of The Jungle Book is an amazing actor and portrays Mowgli in such a way that makes me love Mowgli even more. This is one of the first real people movie that Valentina watches completely without falling asleep, she sat down and watched the entire movie quietly. Valentina did get up the second time we watched it (yes,we already watched it twice) so she could dance around, especially during that famous Jungle Book song the Bare Necessities. Miguel and I just love the movie in general, again the graphics just make it that much better to enjoy and fall in love with it. Husband gets home later tonight and it will be the third time for us watching it but it will be great to see husbands reactions as he watches it for the first time. Make sure to follow The Jungle Book on their social media sites so you can stay in the loop with any fun news. 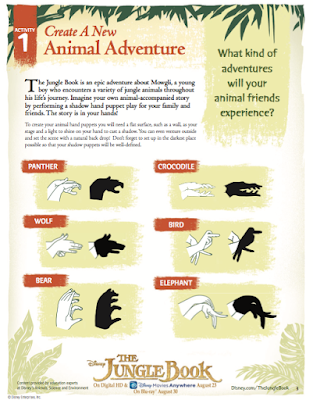 and leave a comment saying who your favorite character from The Jungle Book is? 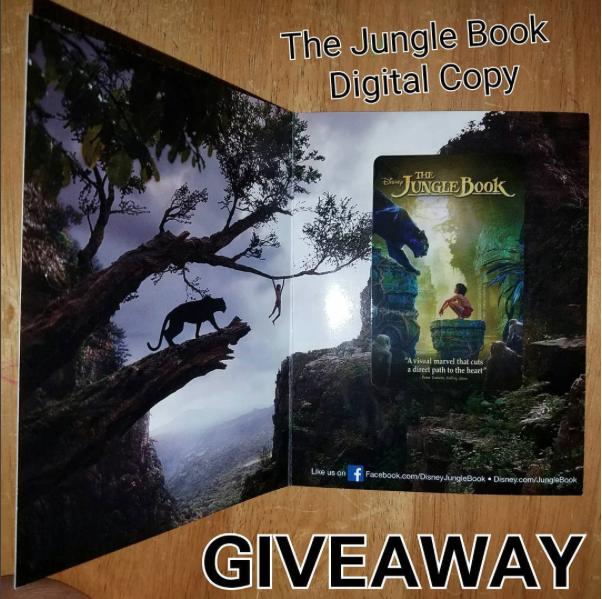 Giveaway ends on September 5th! 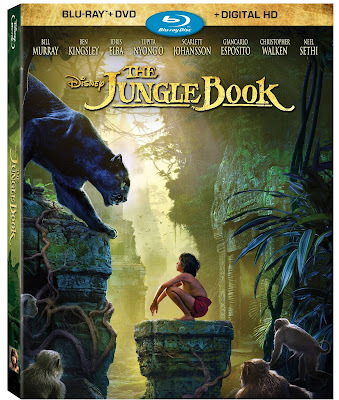 1 comment on "Family Movie Night with Mowgli & Baloo #JungleBook"